Someone asked me to reconcile my recent paper on rail funding with my stance on Cal-Train electrification that the feds should prioritize funding towards poorer cities. Very good question because there is an apparent conflict there. My recent paper was positioned as a response to Trump’s plan to completely eliminate rail transit capital grants while retaining the basic structure of federal transport funding. I think these grants should be retained, but routed to repairs on the core legacy transit system which have a very strong rationale. (I might advocate a difference if we were talking about broader reform ideas like block grants to states or devolution). More broadly, my belief is that the creative class has gotten a lot of love over the last 15 years. That’s understandable since cities who don’t capture at least some high income earners to help pay the bills are in trouble. But a lot of cities are well past that point. It’s time to shift into harvest mode on that and refocus our efforts on lower income residents (and cities with significant poverty challenges). Hence I want to see federal infrastructure funding routed to items like sewer and water system repairs. For transit, I would like to see a federal focus on sustaining a high quality basic bus network in places like Detroit. So I do support prioritizing funds to these regions for plain old bus service. I do think wealthy regions like the Bay Area should pay for their own expansion projects because they generate significant value that can be captured to pay for it. 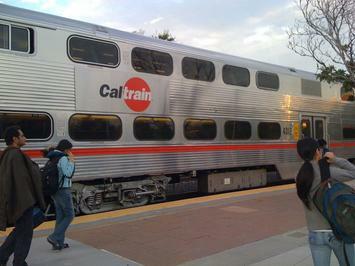 Caltrain electrification makes sense to me as a project. This is one that you can make an argument about whether it’s really an updating of a legacy line vs an expansion. But in general, state of good service repairs should be prioritized, so this is not where I’d spend my federal money. (Though again, it’s not an objectively bad project). It’s the same in DC, NYC, etc. Federal funds should go to repairs rather than expansion. Some projects like the Second Ave. Subway make sense from a demand perspective, so it’s not ridiculous if the feds funded them. But my preference would be to use federal funding for maintenance, with expansion projects funded locally. The one expansion project of federal significance is the Gateway Tunnel, which service a major interstate regional rail corridor (although it also has local transit benefits). In short, to the extent that we keep the same basic federal system, send rail capital grants to legacy city repair (potentially including systems in older cities like Cleveland that have a line or two that might need repairs). Cities should pay for their own rail expansion projects (at least until we significantly reduce our critical repair backlog). The feds should look at bus funding to figure out how to create better basic bus networks, focused on cities with significant poverty and fiscal stress. At a minimum, make sure they’ve got decent quality buses, depots, etc. There may be a limit to what the feds can accomplish here, but that’s my general view of where the priority should be: repairs to existing mission critical rail lines and helping distressed communities. This article originally appeared on Urbanophile.